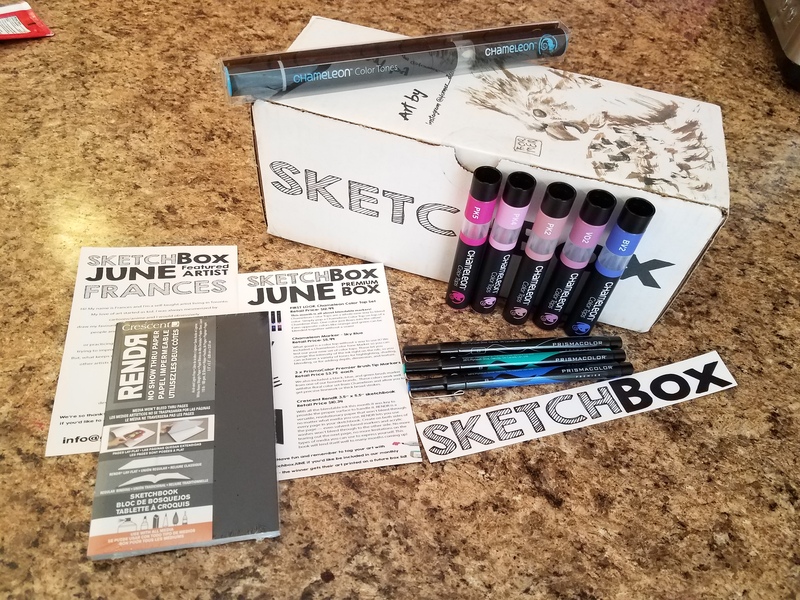 Ok, lets get started on everything you get in the box and I will have pictures to give you a good look at each product. First off, lets take a look at everything you get. “Chameleon Color Tops are a whole new way to blend color. Simply pop a Chameleon Color Top on top of a Chameleon Pen. One color just flows into the other! Even opposite colors like orange and green can be blended together without a seam” – Product description card. As you can see, they sent me a small mixture of pinks, violet and blue. Now I will say, that I have never used these pens so I have no clue how to accurately use them. It will be a trial and error thing. I will update this post with my product review for these pens after I have completed it. However, I have been waiting for the opportunity to use these to blend out my mandalas a little more, so I am extremely excited for the opportunity to try them out. This is another product that I have no experience with. 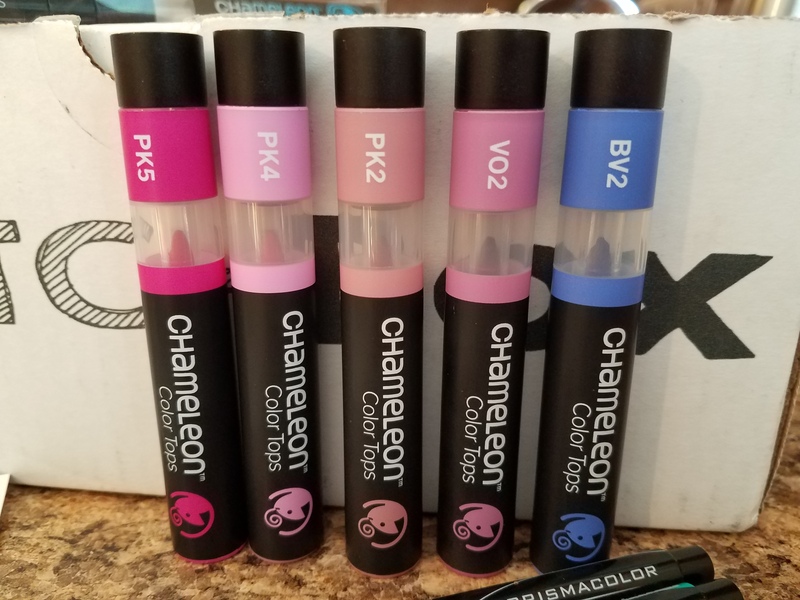 I have just recently gotten to know about the Chameleon brand itself. I’m more anxious to see how they all work together. When I do the product review for the tops, it will include this marker as well, as I believe they all go hand in hand. I have heard from other bloggers that sometimes you have to hold the nibs together for upwards of a minute, but I do need to do my own experiments with my own and I will let you know. “We also included a black, blue and green brush marker from one of our favorite brands. 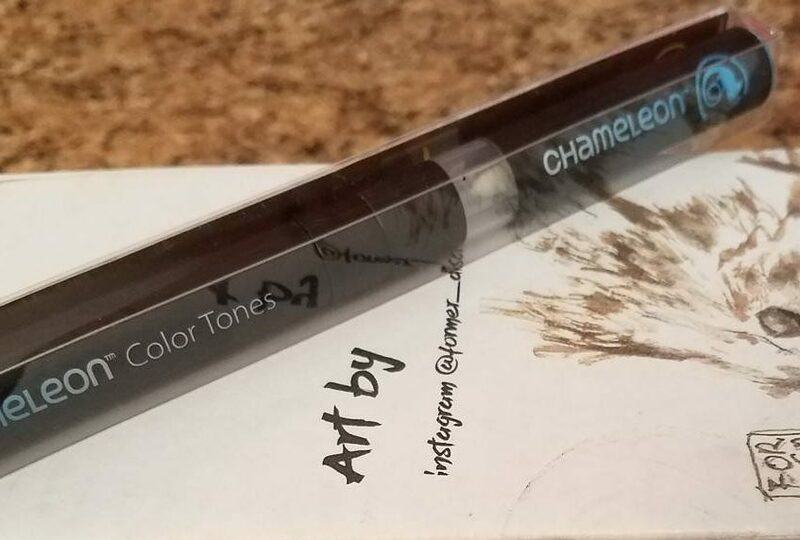 These colors work well with the floral color set from Chameleon and allow you to get precise line work or thick broad strokes” – Product description card. Now this is a product I stand behind. I have done a product review on the full set of PrismaColor Markers and you can find it here. I love that they have included the different colors, since all I had previously was black. The brush tip takes a little bit to get used to. You really have to concentrate on things like pressure, however, the ink is steady and does not skip. This does make it the perfect marker for outlining artwork or faux-calligraphy. (which is a different post for a different day) Either way, I would highly suggest that every artist have a few of these with different nibs for almost anything they might need fine lines for! “With all the blendable ink this month. It was key to provide the proper surface to handle it. 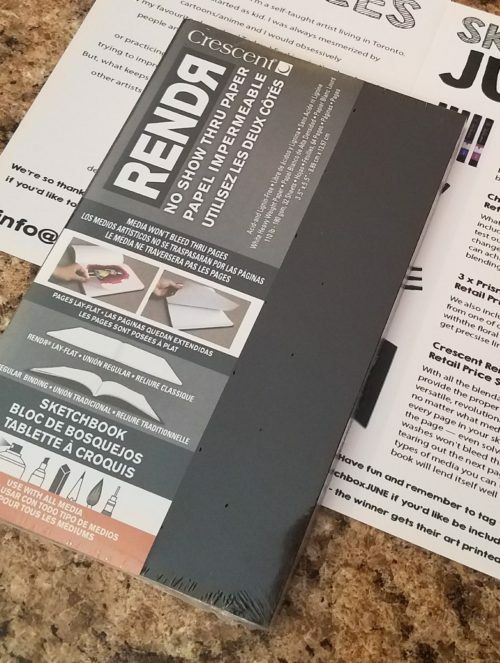 RENDR is a versatile, revolutionary paper that won’t bleed through no matter what media you use. RENDR lets you use every page in your sketchbook. Create on both sides of the page – even solvent-based markers and acrylic washes won’t bleed through to the other side. No more tearing out the next page, no more limitations on the types of media you can use to express yourself. This book will lend itself well to many months coming up!” – Product description card. I am also very excited about this sketchbook and let me tell you why. I follow several artists on YouTube and furthermore their blogs. The one consistency between them is that they all have nothing but positive reviews about RENDR sketchbooks. Each artist has their own media that they gravitate towards and even though they are all different, they all still love the fact that the media doesn’t bleed through. They have suggested it to their readers/viewers and I have been dying to get my hands on here so that I can test it out myself. I have so many supplies that I would love to test on this paper from ink to watercolor and everywhere in between. I am sad that the book is smaller, but it gives me ample space to actually review it properly. Once I do get the chance to review this product, I will update this post to link it.